Exodus 12:3 ...On the tenth day of this month, each man is to take a lamb or kid for his family, one per household - 4 except that if the household is too small for a whole lamb or kid, then he and his next-door neighbor should share one, dividing it in proportion to the number of people eating it. 5 Your animal must be without defect, a male in its first year, and you may choose it from either the sheep or the goats. "'You are to keep it until the fourteenth day of the month, and then the entire assembly of the community of Isra'el will slaughter it at dusk. And in Leviticus 5:7, we learn that if a person can't afford a lamb, two doves or pigeons can be substituted! And, as we see in Leviticus 5:11, YHWH is even willing to accept from those who can't afford even a bird: "two quarts of fine flour for a sin offering"…. Leviticus 5:11 "'But if his means are insufficient even for two doves or two young pigeons, then he is to bring as his offering for the sin he committed two quarts of fine flour for a sin offering; he is not to put any olive oil or frankincense on it, because it is a sin offering. Leviticus 12:8 If she can't afford a lamb, she is to take two doves or two young pigeons, the one for a burnt offering and the other for a sin offering; the cohen will make atonement for her, and she will be clean.'" As is clearly evident when read in context, the "female lamb" is not the point! 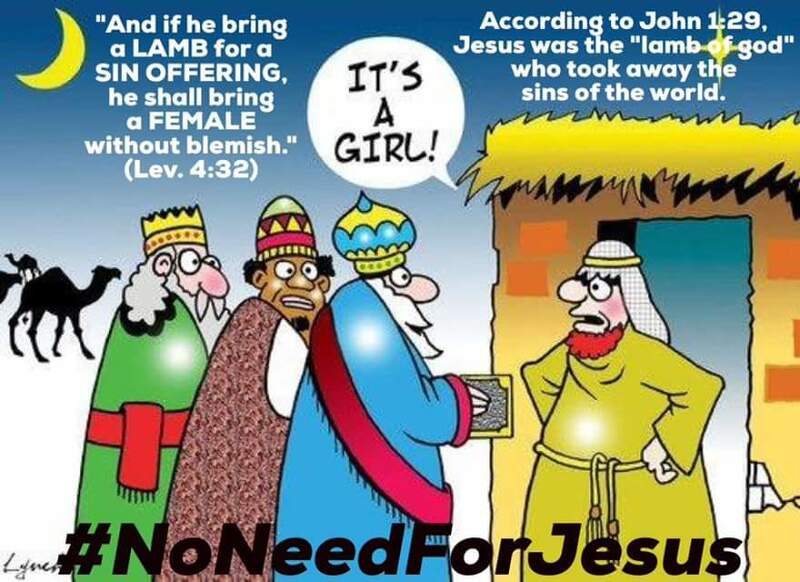 Yes, Leviticus 4:32 says a female lamb, for an individual's sin; but 4:28 says a female goat instead, for an individual's sin. When the Cohen sinned inadvertently, or the entire community sinned inadvertently, a male animal was used for atonement! (See Lev 4:1-4; 4:14; all the sin offerings for the clans in Numbers 7:12-87, the sin offerings of Numbers 28, to mention a few). So the use of the word "lamb" for the Messiah is entirely metaphorical. His substitution was for all, so it is appropriate that he was male, as the lamb of the original passover was a male. About the "without blemish" issue: Again, this is metaphorical. "Jesus" was "without blemish" in that He was sinless. Yes, He was beaten bloody, but even in the animal sacrifice, the "unblemished" animal is slaughtered, bloodied, and cut apart! So by this reasoning, doesn't that "disqualify" the animal as it is now no longer "without blemish"?